The Suryadatta Education Foundation SEF is an altruistic trust which is registered with the Registrar of societies. 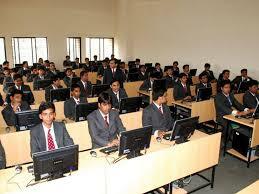 Suryadatta family has grown into a garland of academics institutions in many disciplines and SIBMT is one of it. Many students from foreign nations and around the world of India are getting their education from suryadatta institutions. SIBMT’s vision is to be a top class institution of eminence in advanced learning and blending the best of Indian responsiveness with the western expectation. Its wants to be rated as a foremost education Institute. Its mission is to create multi curtail professionals in rising disciplines; acclimatize to a rapidly growing, erratic, global economy. It focuses on to developing sustainable network of alleged academicians and high level accomplishers in social and corporate arena. It boosts research in all disciplines of management and its operating philosophy is to benchmark against the prime practices, standards and policies. It emboldens new ideas and tries to implant spirit of all entrepreneurs. It maintains global identity and national identity. SIBMY strives hard to create human concentrated development and to build a knowledge based society. NCC/CAFETERIA/ Volleyball / Football,Wi-Fi connectivity. Suryadatta institute faculties are highly experienced they have deep knowledge about their core subjects and they give best training and teaching for the students. Suryadatta management encompasses only senior professionals they have around 15yrs of experience in their specific field, they are Well-known Faculties. Suryadatta organizes industrial visit, workshops, and seminars frequently for the beneficial of students, to enhance the knowledge and also corporate executives visit the college they will interact with students and give speech and share their precious experience so that it helps for the students to make a successful career in their respective field. They teach yoga and meditation for students to keep on focused to face the challenges without stress manner. 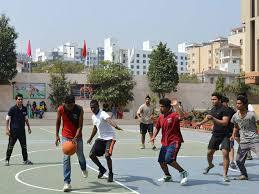 They also give training on the basis of personality development and commando training it helps to achieve his/her goal. They provide dual specialism and innovative technologies for students to make multiple options in their career field. 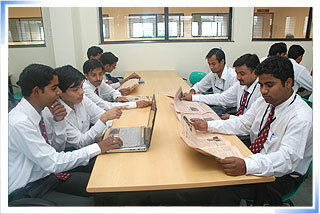 They have best placement with good salary package, all renowned company’s recruiters visit the college. SIBMT offers plenty of placement openings to the candidates. 731 companies visit the college for placement services through the entire areas.100% placement for the graduates. 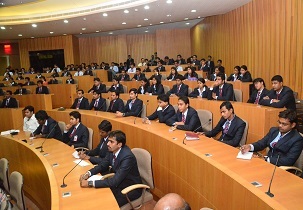 Students are allowed and given a chance to attend the pre-placement camp so that students can understand the profile and they can clarify the doubts. 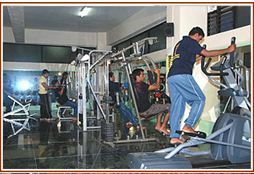 Management provides separate hostel facility for girls and boys near the campus area, attired and responsible facilities are provide, with hygiene food and well equipped rooms with all the basic needs and requirements, cafeteria, mess, medical facility,24/7 security provided, indoor and sports complex, gyms, Wi-Fi is available . Candidate must have a valid score in CMAT/CAT/GMAT/MAT/ATMA/XAT/MAH-CET entrance examination for Suryadatta Institute of Business Management & Technology admission. Candidate can apply online/offline with the required details for Suryadatta Institute of Business Management & Technology admission. Admission will be done on the basis of academic credentials, entrance exam and also performance in personal interview conducted by Suryadatta Institute of Business Management & Technology admission. Shortlisted candidates will be called by Suryadatta Institute of Business Management & Technology MBA for the personal interview based on marks obtained in graduation and entrance exam. Selection process for Suryadatta Institute of Business Management & Technology MBA admission will be done based on the marks obtained in the previous examination followed by Personal Interview. 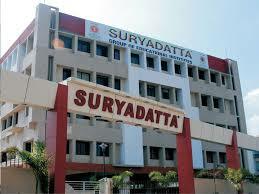 Provide me with the detailed fee at Suryadatta? Suryadatta Institute of Business Management & Technology fee structure for MBA/PGDM is approximately INR 350000/- for complete 2 years course. Candidate should have a Graduation with minimum 50% aggregate from a recognized university. Candidate should have a valid score in CAT/GMAT/XAT/CMAT/ATMA/MAH-CET entrance examination for Suryadatta Institute of Business Management admission. Candidates once shortlisted will be called for the personal interview based on marks obtained in graduation and entrance exam for Suryadatta Institute of Business Management admissions. Kindly let me know the fee structure for MBA program? What is the fee structure for MBA at Suryadatta?? Candidate should attain minimum 50% in graduation and a valid score in entrance examination to get Suryadatta Institute of Business Management admission. Shortlisted candidates for Suryadatta Institute of Business Management admission will be called by the institute for personal interview based on marks obtained in graduation and entrance exam. Suryadatta Institute of Business Management admission will be done on the basis of academic credentials, entrance exam and also performance in personal interview. Query regarding fee details for MBA? The duration of Suryadatta Institute of Business Management MBA program is 2 years. Write Your Reviews on "Suryadatta Institute Of Business Management & Technology"
Are you Interested inSuryadatta Institute Of Business Management & Technology"? Please provide the following details. Ask Question on "Suryadatta Institute Of Business Management & Technology"?